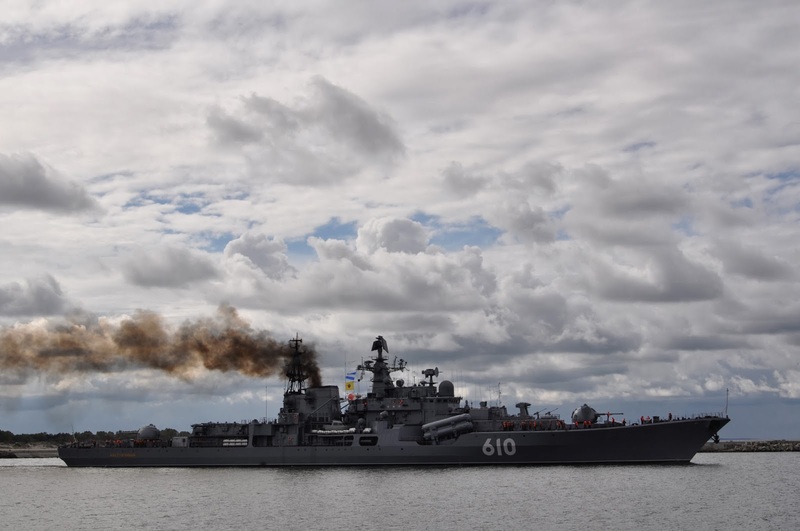 Pillau, or Baltiysk as it is now known, is quite a difficult place to get to. Indeed it was one of the last places to be opened up in Russia after the end of the Cold War. 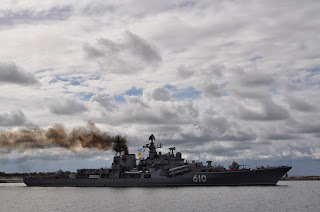 The town is located at the end of a long spit of land projecting out into the Baltic Sea in close proximity to the city of Kaliningrad (previously known as Konigsberg). The port is home to the Russian Baltic Fleet and special permission is required over and above the usual Russian visa. From 1941 the town was home to the German 1st U-Boat Training Division. 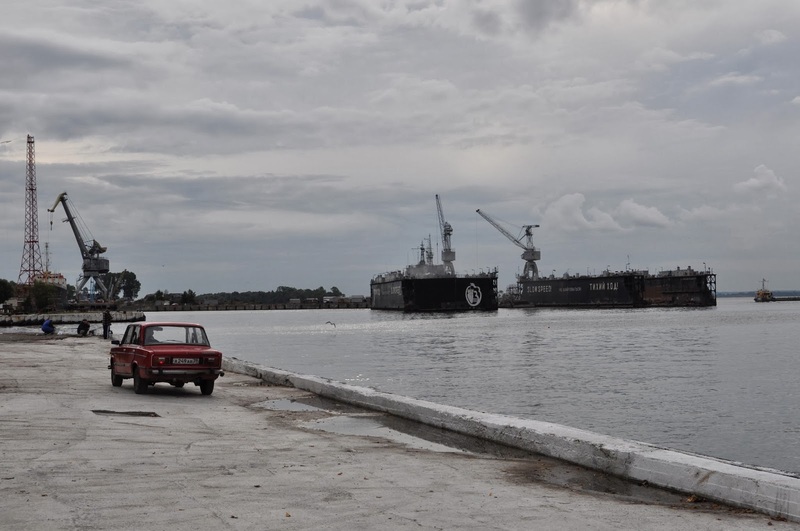 In addition the docks were heavily used throughout the conflict - firstly to support the supply of Army Group North, then to provide anchorage for ships providing accommodation for troops and finally as a point of embarkation for 450,000 people fleeing the Red Army in the final nine months of the war. The town retains many old Prussian buildings though much was destroyed in air raids in the final months of the war. We had intended to catch the ferry across to the fort at Neutief on the Frische Nehrung but unfortunately my British passport aroused a suspicion that my intentions were malign so we weren't able to access the ship. 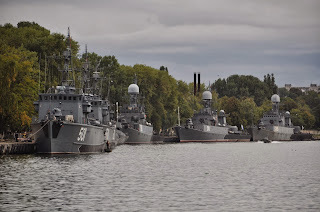 At the time of our visit security was heightened because the next day the Ukrainian Navy were due to start joint exercises with their Russian 'allies'. During the final months of the war the Samland area of East Prussia was defended by a mixed force of rear echelon units and remnants of previously strong formations such as 2nd Army, elements of the 4th Army (following the evacuation of the Heiligenbeil Pocket) and units from the 3rd Panzer Army. All were gathered together as AOK Ostpreussen commanded by General Von Saucken. 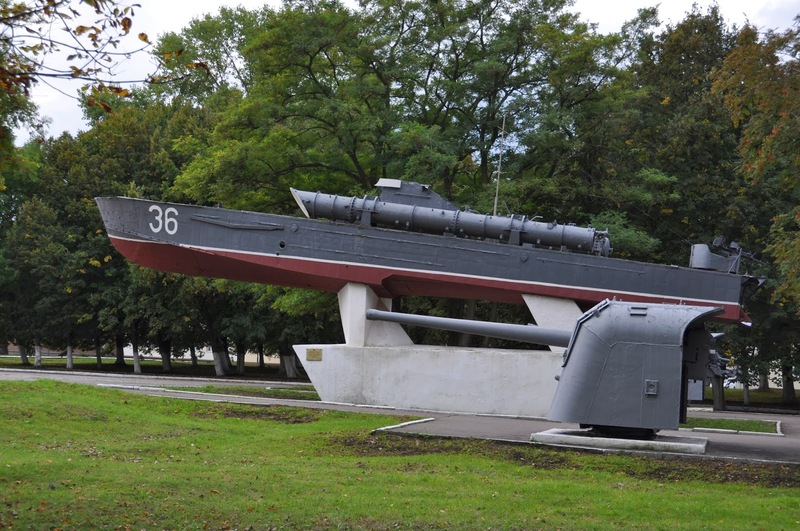 They were faced by the battle hardened units of Rokossovsky's 3rd Belorussian front. 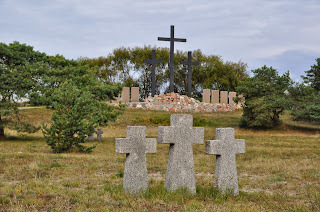 With the help of a local Russian we took a long walk from the port through to the German military cemetery out on the coastal plain amongst the sand dunes. The remnants of the harbour defences are impressive. Secure bunkers and what seemed like miles of underground tunnels linking anti aircraft gun positions. Evidence of heavy fighting was everywhere - particularly damage from air raids (British and Soviet). On this latter point the town was subjected to a particularly heavy raid on the 20th April 1945 (presumably to mark Hitler's birthday). 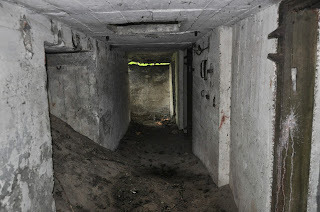 We explored a number of bunker complexes. 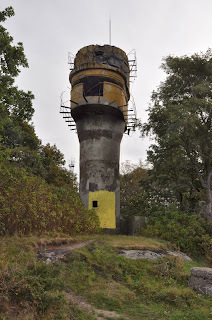 In particular a network of tunnels under a concrete tower disguised as a water reservoir. The defences extended around the full length of the Samland coast though we only examined the line between Pillau and Neuhauser to the North. 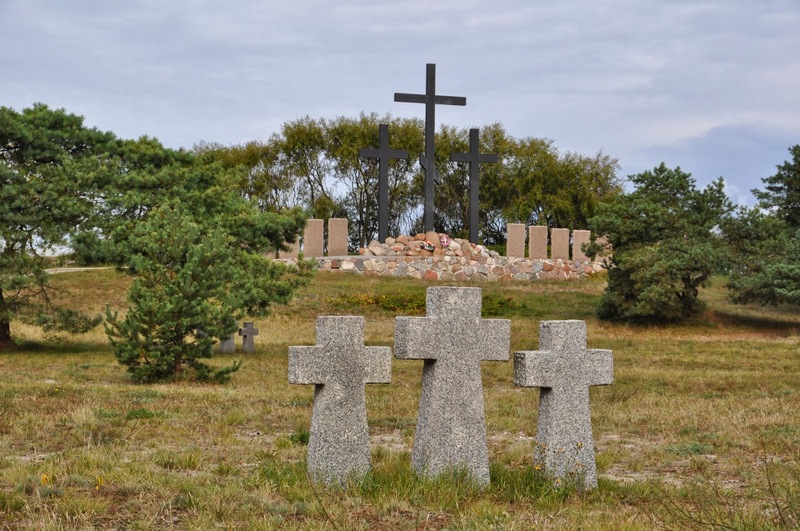 The German Military Cemetery at Baltiysk (Pillau) contains 12,084 graves, including 204 from the sinking of the ship 'Wilhelm Gustloff' (which will be the subject of a future blog entry). One of the more senior officers buried at Pillau is 'Fritz' Lang, General Major commanding the German 95th Infantry Division. 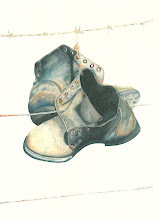 Lang was killed on the 16th April 1945. The cemetery is in a peaceful spot surrounded by pine trees and at the time of our visit there was a small exhibition on site - manned by a knowledgeable representative of the Volksbund Deutsche Kriegsgräberfürsorge. We were told that some Russian locals resented the presence of this newly constituted military cemetery. One can understand why, given the poor state of Soviet cemeteries and the odious deeds no doubt undertaken by some of those interred at Pillau. However, there is no doubt that many of these men fell whilst trying to hold the evacuation route open for fleeing refugees. Sometimes there is no 'black' and 'white' - only 'grey'. Certainly in East Prussia there were no winners but many victims. Soviet soldiers fighting to avenge the horrors of Barbarossa, East Prussian civilians seeking safety in the West and others too numerous to mention.